How do I find a life insurance policy? Not just any policy but the right one for me. 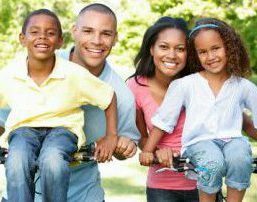 Not only are there numerous life insurance companies out there, but there are many different insurance policies too. Buying one can be the best decision you ever made, or it can turn out to be your biggest mistake. Why? You ask, read through the information below to be better informed before you choose. First and foremost, are you buying an insurance policy for the right reason? You may have heard what a beneficial investment it is and decided you need one too, but you could be wrong. Most life insurance policyholders have dependents and therefore have plausible motives. If you don’t have any dependents, you probably don’t need one. If you decide to buy, it’s important to research the various insurance companies and the different insurance policies available. Scrutinise a few insurance companies and choose the largest and most reputable one out of the lot; this is the one that is mostly likely to be able to handle your claim – no matter how sizeable it is. Become familiar with the ‘terms’ used by insurance companies and learn the difference between different policies. Go through the Terms and Conditions of each policy until you understand them. After doing this, speak to a financial advisor. Ask him to explain anything you still don’t understand. You can buy an insurance policy through your advisor, but it will eventually cost you less to buy it on your own. When you are confident that you know what a life insurance policy is and how they work, you are ready to find one. You are usually advised to get one at a young age as it is cheaper, However, it can work against you if you purchase one for the wrong reason. You could end up losing all your money. Insurance premiums will cost you more when you are older. But you are more likely to make a wiser choice then, as you’d be in a better position to judge whether you need a policy or not. Most people choose life insurance, as it is affordable, but the downside of this is that it only lasts for a short period of time. If you outlive it you don’t get anything back. Also, by the time it expires, you will be older and less likely to get another policy. Find a life insurance policy or a life assurance policy? Life assurance, on the other hand, costs more but runs for a longer period. You are less likely to outlive a life assurance policy as it expires once the insured turns 100 years old! Although its premiums are significantly higher, you are guaranteed a payout – which is usually a sizeable amount of money. This can go a long way in paying off funeral expenses, clearing off debts and ensuring that your loved ones are financially comfortable long after you’re gone. If you follow these simple steps, you will be better informed and have no problem regarding how to find a suitable life insurance policy. You can also go online and get free life insurance quotes.